This is a brand new canopy-valance one piece design. 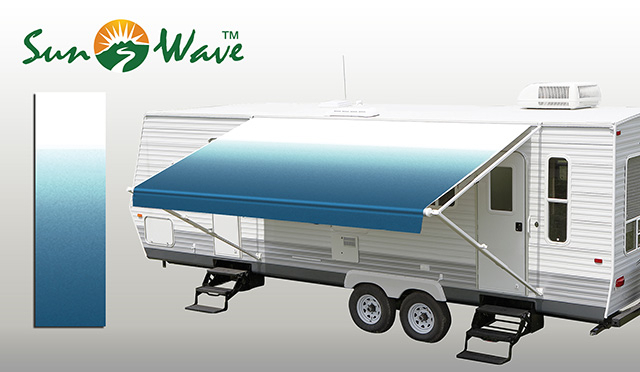 This canopy replacement is designed to fit the Carefree, Dometic (A&E), and Carter awnings. 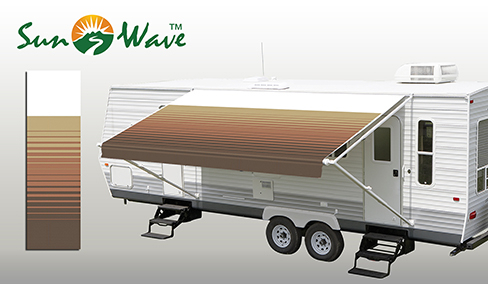 This brand new canopy replacement is constructed of 15oz vinyl with a 16oz white vinyl weather guard. Tensile strength of the material is 140 lbs per square inch. The canopy comes completely finished with hemmed edges and cord sewn in, along with a new pull strap. The combination of these aspects equal the strongest fabric on the market with an appearance that matches. Projection of the canopy is about 8′.